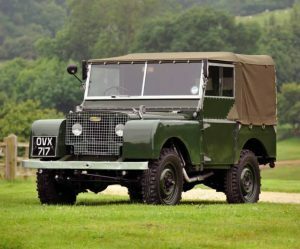 Here at ACH Classic, we specialise in Land Rover restorations, Land Rover refurbishment and Land Rover renovation of classic Land Rover Series 1, Series 2 and 2a and Series 3 Land Rovers, Land Rover Defender and Range Rover classic models. 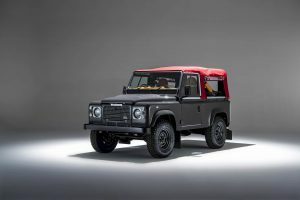 The engine and gearbox are completely overhauled and new ancillaries are often fitted including – radiator, coil, loom, distributor, carburettor, retaining only the parts which are in clean and good working order. These parts are fitted to the re-finished engine, which, when painted and detailed, looks superb. The axles are shot blasted, degreased and stripped before reassembly with new bearings, and fitted with new seals and swivels. Wheels are shot blasted and balanced and fitted with correct tyres to suit. All vehicles get a new exhaust, new seats, and new hood and sticks if it’s required. No parts are fitted to the vehicle unless either refurbished or replaced. This helps to give a “like new” appearance to engine bays and underside as well as to the interior and exterior. The interior and dash get fully detailed, and we ensure that all dials and gauges have been completely overhauled. A professional paint finish inside and out complete the restoration. Once completed, each restoration is thoroughly road tested to ensure reliable running from the start. 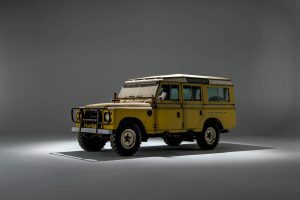 Customers embarking on a custom rebuild (rather than purchasing one of our already rebuilt vehicles) have the option to select which model, configuration and colour they prefer. Optional upgrades can also be added at this point ie overdrive, heater, towbar etc etc.